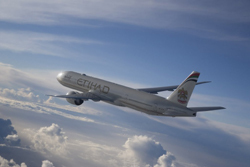 Etihad Airways have been voted the World's Leading Airline for the third year running at the World Travel Awards*. 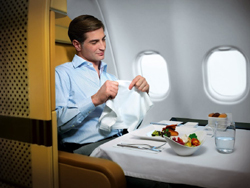 Inspired by their home Abu Dhabi, the heart of modern Arabia, Etihad Airways takes the spirit of warm Arabian hospitality into the air. 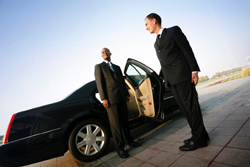 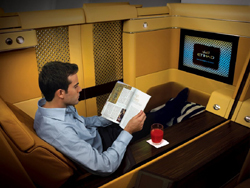 You can enjoy outstanding service on their new fleet of luxury aircraft. 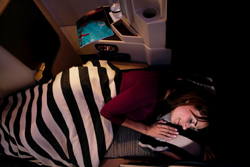 Experience more choice in Coral Economy Class, stretch out on an award-winning fully flat bed in Pearl Business Class, or relax in your very own private suite in Diamond First Class. 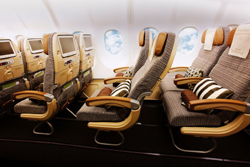 Etihad commenced a service to Male in November 2011, giving UK travellers new, high-quality scheduled options from either London Heathrow or Manchester to the Maldives, via Abu Dhabi. 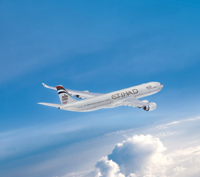 In addition, Etihad offers swift connections triple daily from London Heathrow and double daily from Manchester to more than 70 destinations across five continents, including Middle East, North America, Africa, Australia and Asia.